Advken Ohmega V2 RTA is a 4.5ml e-juice capacity rebuildable tank atomizer. it features Large Build Deck, 2mm Post Holes and Large Build Deck (Velocity Style). SS Color. Advken Ohmega V2 Rebuildable Tank Atomizer is a new Ohmega V2, This rebuildable atomzier comes with 22mm diameter tank. 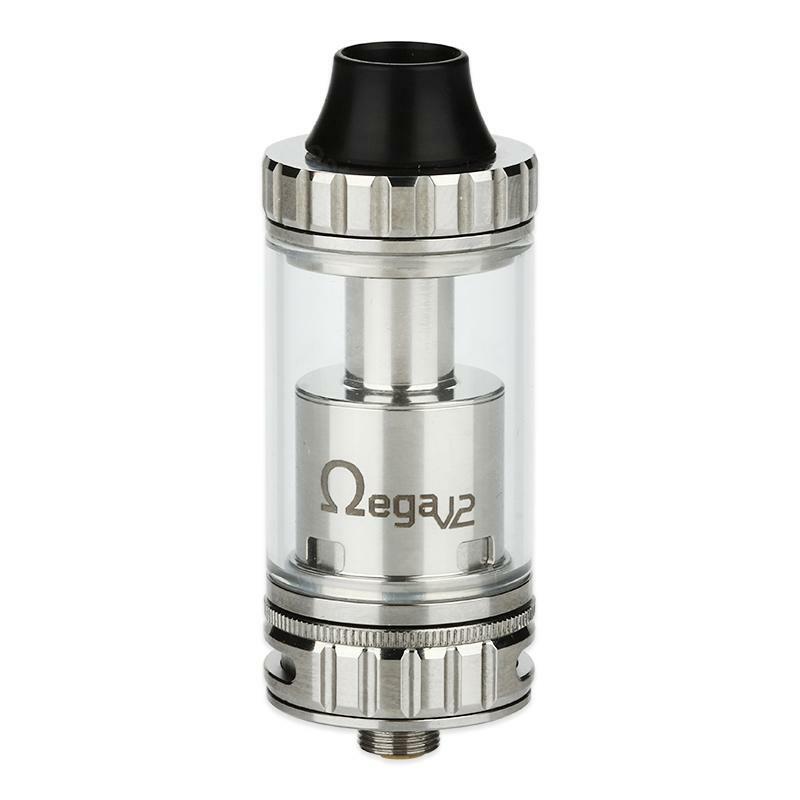 Integrates a threaded top-fill method with a 4.5mL juice capacity,giving amazing vapor clouds.Ohmega V2 features a two post velocity-style deck. Easy to build relief system which can reduce the inside pressure after top filling. Advken Ohmega V2 RTA offers a perfect exemplary design that you will get amazing vapor clouds with it. Advken Ohmega has an excellent, This is a good RTA, haven't found any flaws. Excellent atomizer, well made and very competitive price compared to other sites. original advken. nice rta and it's well priced here on buybest. Huge clouds, great flavor and so far no leaking, dry hits or any other issues. Such a nice productshipped from buybest, looks very good and works fine.